Whether you're tearing through traffic in the Ramp Buggy or raiding Fort Zancudo in the Ruiner 2000, get paid handsomely for harnessing the unique powers of all eight Import/Export Special Vehicles - with Double GTA$ & RP in all Special Vehicle Missions through June 12th. It's also a prosperous time for entrepreneurs, with 25% bonus GTA$ on Biker Business Sales and Special Cargo Deliveries. 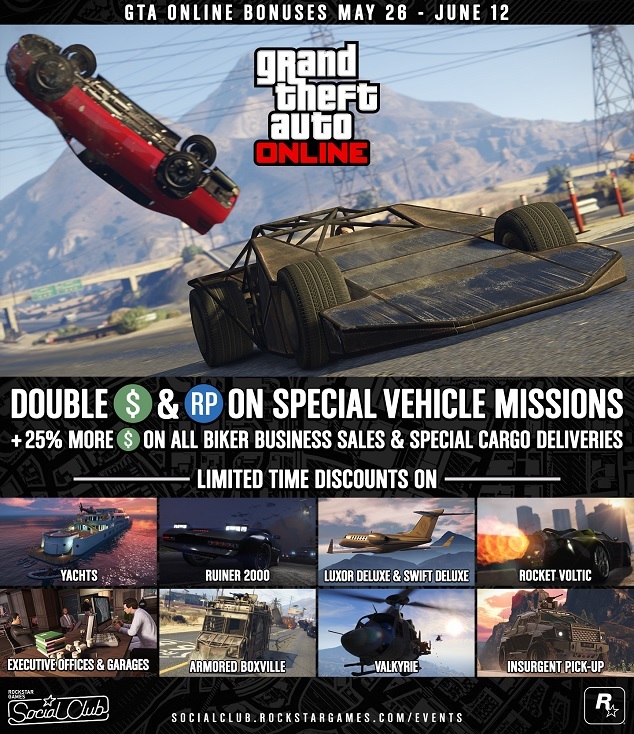 Merchants all across Los Santos are also getting in on the action, with big, limited time discounts from Warstock, DockTease, Dynasty 8 Executive, Elitas, and Ammu-Nation - featuring big ticket items including luxury Yachts, Executive Offices and Special Vehicles like the Ruiner 2000 and the Rocket Voltic. Your friends at Ammu-Nation are keeping you locked and loaded. 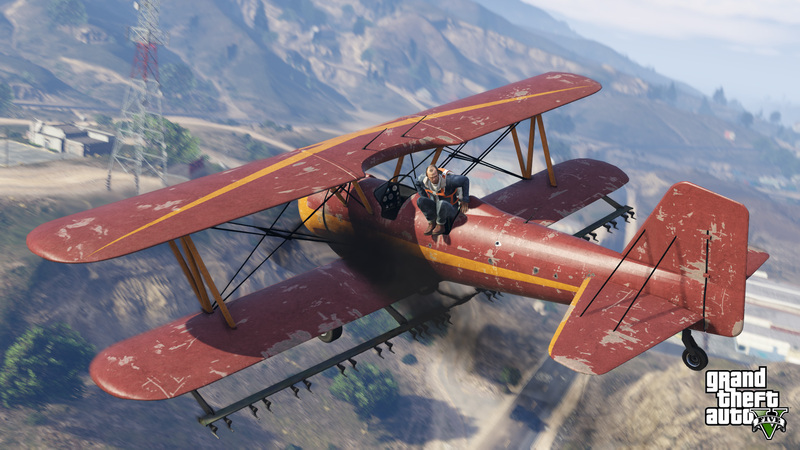 GTAO Bonuses/Discounts Through June 12th - Almost a month of bonuses and discounts are now active for new-gen GTA Online.